"Appearing at an award show named in Andy's honour, Michael Kaufman said he received a letter from his brother, confirming he was alive, in 1999. He then introduced a woman who claimed to be Andy's 24-year-old daughter. Her age would mean she was born five years after his death." 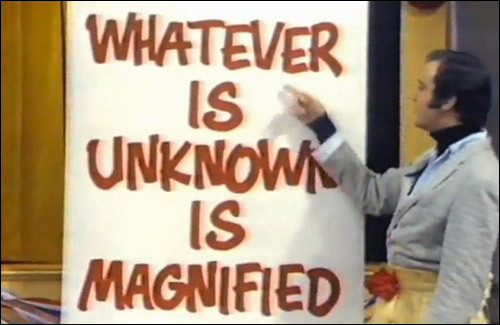 "If you want to follow our adventures every week you're going to need a uncle Andy... Magic Decoder ring, so you can decode messages that I will be giving every week and they will be messages that I'm not allowed to say on nationwide TV, so you're going to want that." "Kaufman was considered by some as less of a comedian and more of a performance artist who wanted to make the audience question reality." 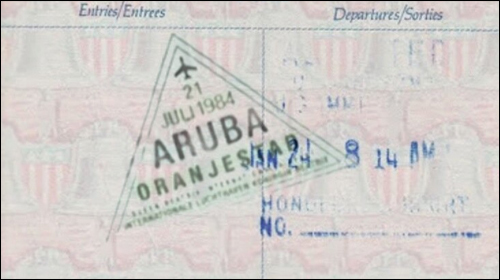 "It was Aruba!.. Aruba. That's where Andy used to talk about going!" Lynne Margulies Andy Kaufman's girlfriend on where he would go after faking his death. 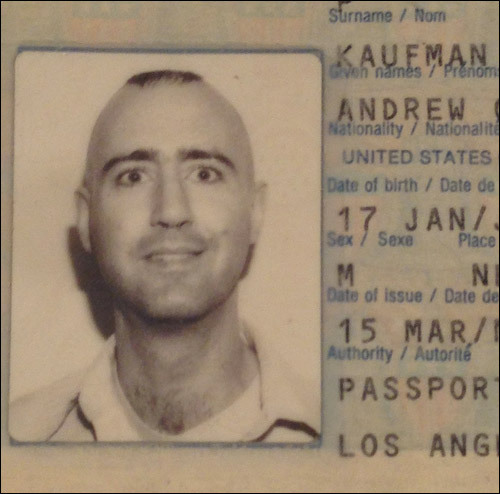 Andy Kaufman is trademark of the Andy Kaufman Memorial Trust.